Here's the story of how during a trip to Barcelona my camera almost lit on fire. 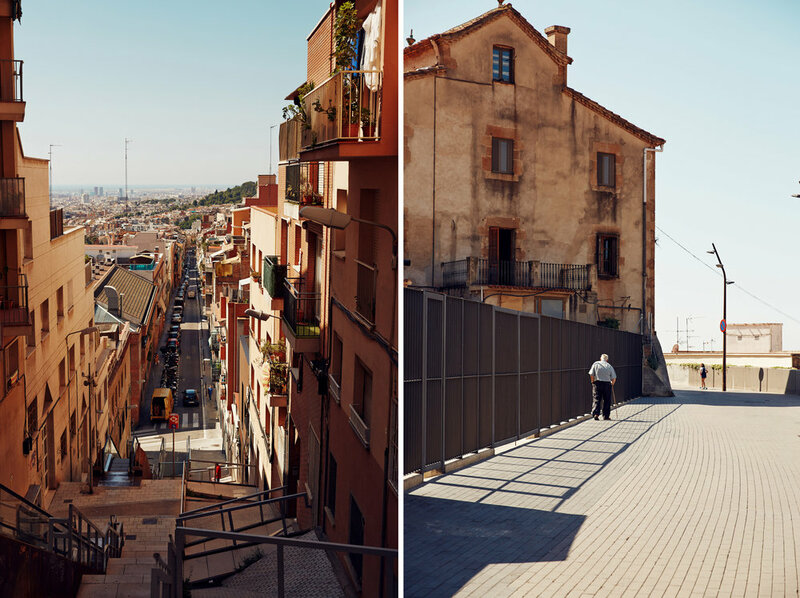 My buddy Lucas and I were on a country hopping trip earlier this year (see the Paris images here) and our last stop on the trip was a week to explore the beautiful city of Barcelona. We planned the trip so that on our last day we would be able to experience "La Festa Major de Gracia." We were told it's a festival where all of the streets in a certain area decorate the alleyways and put lights and streamers over top of the alley to create this amazing environment. The festival was loud, crazy, energetic, and everyone was having a blast running through the streets. There were groups dressed as the devil and would put fireworks on the end of sticks so that they would spin around and the sparks and embers would fly out over the crowd. It was an amazing sight and a photographers heaven. Lucas was vlogging the trip so he decides to call one of the devils over to come do the rocket right next to us, which he obliged. It resulted in the amazing photo at the end of this blog where there's just pure joy on Lucas' face with such a fire-fueled adrenaline rush. I take the shot and then look down at the back of my camera where some of the fire being sprayed landed on the back of my camera. I try to push them off but they sink in deeper into the camera. I freaked out but now the camera has a few burn battle scars which makes for a great story on set. One of the best moments I've ever had the opportunity to capture.